These will make a happy plate mate with numerous things – give them a Greek spin with lamb cutlets cooked on the barbecue and a tomato salad, or serve with a cannellini bean purée and garden salad. 1 Preheat oven to 200°C (400°F). 2 Cut peppers in half, cutting through the stalk (leave the stalk on as it holds the pepper halves together). With a small sharp knife remove seeds and membranes without piercing the pepper flesh. 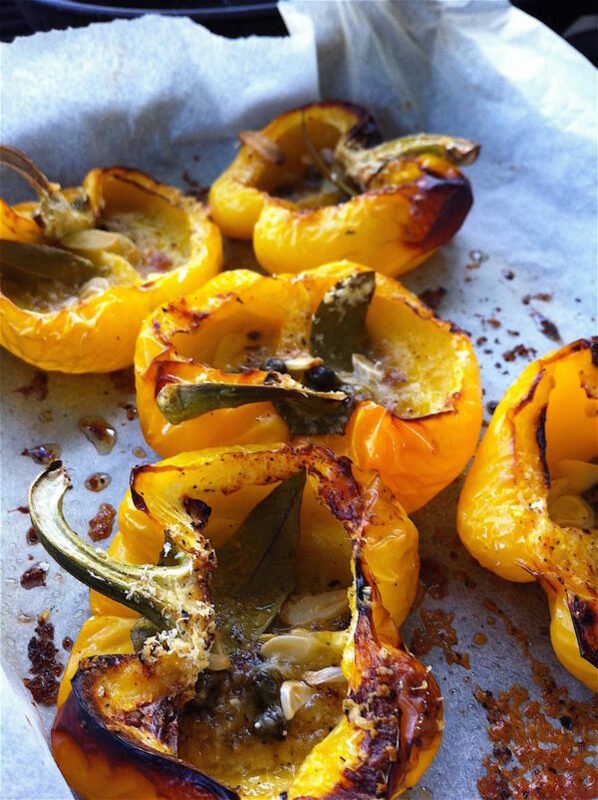 Transfer peppers to a shallow roasting tin lined with baking (parchment) paper. 3 Distribute bay leaves, pine nuts, garlic and capers amongst peppers. Sprinkle with oregano, sea salt and panko crumbs, then drizzle with oil. 4 Bake peppers for about 25 minutes, until charred and the flesh just tender (if the peppers start blackening on the bottom, lower the heat to 170°C (325°F). Serve hottish or at room temperature. 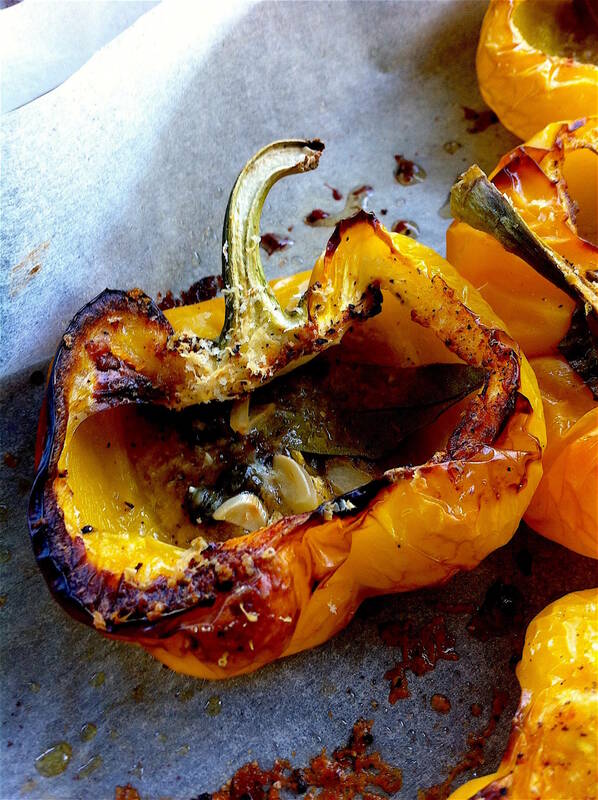 The idea with these peppers is to give them a blast in a hot oven, until they are nicely scorched but you don’t want the bottoms to blacken, so you might need to adjust the cooking times, or lower the heat towards the end of cooking.